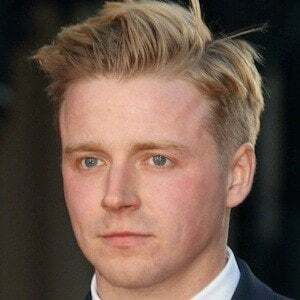 Notable for his stage work, this Scottish-born actor starred in the 2012 London production of Chariots of Fire and went on to receive the Ian Charleson and Olivier Awards for his portrayal of Oswald in the 2013 London revival of the Henrik Ibsen play Ghosts. As a child, he trained at the Scottish Youth Theatre and performed at the King's Theatre, Edinburgh. He later earned a degree in acting from the Royal Scottish Academy of Music and Drama. He starred in the acclaimed National Theatre of Scotland production of Black Watch, which toured internationally in 2010 and 2011. He appeared alongside Hugh Jackman in the 2015 feature film Pan. His other screen credits include roles in the BBC One series The Passing Bells and in the 2014 historical movie '71. He spent his early years in the village of Oxton in southeastern Scotland and later lived and worked in Edinburgh, Glasgow, and London. He appeared with Kristin Scott Thomas and Diana Quick in a 2014 Old Vic production of the Greek tragedy Electra.